The name comes from the Greek word "chiastos" which means cruciform or crosswise. Another name for this stone that does not show the cross formation is Andalusite. They are all really the same mineral with the same properties. Chiastolite is used to manufacture high-temperature porcelain of spark plugs; used to make high-temperature ceramics used in furnaces, kilns, incinerators; high-quality crystals are often used as gemstones. Chiastolite is mined in Australia, Spain, Sri Lanka, China, France, Chile, Brazil, Russia, Canada and the USA. 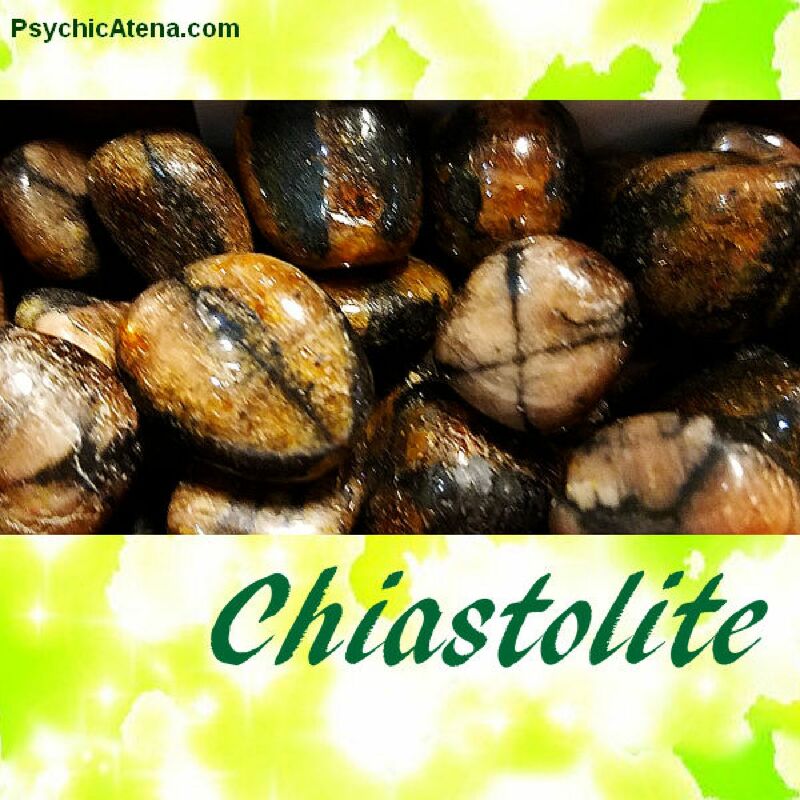 Chiastolite is a great aide when you need help adapting to change. A powerful stone for protection, it will help harmonize your energy and remove the negative effects of change, relive fears and increase creative thinking and problem solving. Crystal healers like to use this stone to help maintain strength as we age. Chiastolite is said to be especially good for strengthening teeth and bones and balancing blood chemistry. Chiastolite helps transform negative energies which makes a good crystal to guard against negative energies of others, jealousy envy and ill wishing of various types. It also protects and helps heal friendships and relationships. Easily used for grounding without the feeling of disconnecting from others or from higher self. Chiastolite inspires Creativity, protection, grounding harmony, Streangth and transformation.